Pune is the cultural capital of Maharashtra. It was once home to the Mighty Marathas, and legendary Raja Shivaji and retains many monuments which form their legacy left behind as the pride of Pune. Its rich culture is beautifully preserved by Pune People. This city has also been called “Oxford of the East” as it is a fast-growing and popular destination for numerous multinational companies. It also offers youngsters from all over the country opportunities for education, jobs, and an exciting nightlife.The young generation with a flow of money in their hands prefers self-drive cars in Pune without the need of owning a vehicle. self-drive cars in Pune without the need of owning a vehicle. Avis fulfills this need with a facility of an astonishing fleet of cars from every segment kept in prime condition. Choose your Avis self-drive car rental in Pune for exploring the region within or outside the city. Get a car hire in Pune to explore The grand Aga Khan Palace, set in a peaceful wooded 6.5-hectare plot in the city. Built-in 1892 by Sultan Aga Khan III, this prominent building is where Mahatma Gandhi along with other important nationalist leaders were interned by the British after Gandhi’s Quit India campaign in 1942. The exquisite white marble memorial or Kasturba Samadhi, Mahatma Gandhi's wife, has been built in the serene locality of the Aga Khan Palace. It also houses things such as Gandhiji's writing desk, his bed, Kasturba's clothes, and her footwear. 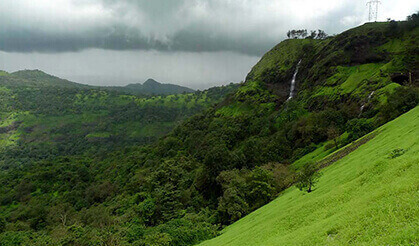 Khandala is amongst the most popular hill stations in Maharashtra and it is also the pride of the Sahyadri Mountains. 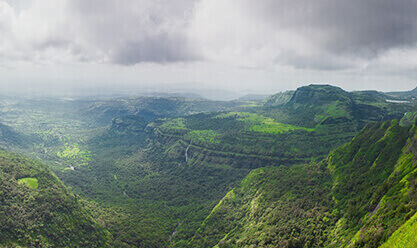 Khandala is blessed with abundant natural beauty and it also provides a popular gateway from the hustle and bustle of cities of Mumbai and Pune. You can plan a road trip to Khandala by hiring an Avis car on rent for outstation in Pune. Lonavala is also a part of the Sahyadri hills and offers an alluring and mind-captivating experience of nature's most gifted region and hills around Pune. 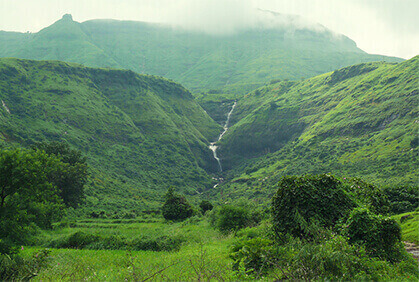 Lonavala is frequented by all sorts of people, especially hikers and trekkers. You can visit this place during a road trip from Pune to Mumbai with car rental service from Avis. Hire a car in Pune from Avis and drive to this quaint little coastal town in the Konkan region of Maharashtra. Alibaug is more of a weekend getaway holiday destination which has earned itself the name of 'mini-Goa'. 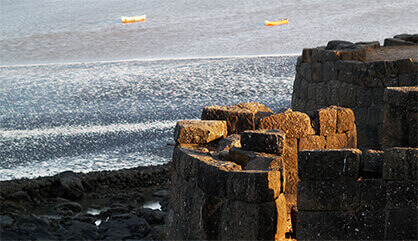 This town is located about 110 kilometers from Mumbai and is replete with sandy beaches, clean unpolluted air and plenty of forts and temples which ensures that people never run out of activities to do. Some of the well known and beautiful tourist destinations are Alibaugh Beach, Alibaugh Fort, Varsoli Beach, Akshi Beach, Nagaon Beach, Awas, Saswane, Rewas, Kaneshwar Mandir, Mandawa, Kashid Beach, Korlai Beach and many more. Amby Valley City is India's first planned hill city with a creative expression of pure genius. It captures a fusion of nature and human creation crafted to offer superior living spaces. 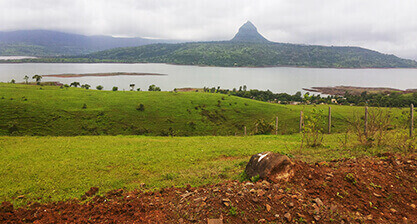 This secured destination is nestled amidst picturesque surroundings of the vast Sahyadris and spans over 10,000 acres. 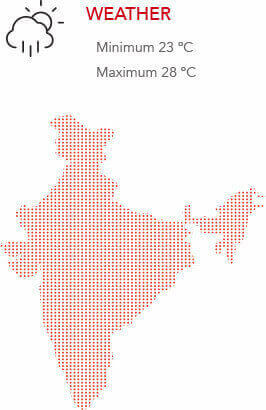 It is a meticulously planned city with world-class infrastructure and facilities. You can hire a car rental in Pune with driver and explore the entire city in absolute luxury. 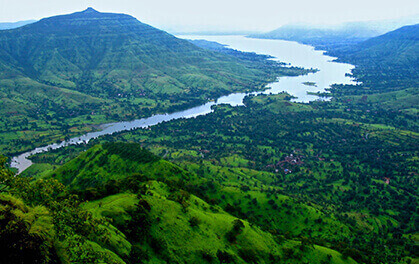 Mahabaleshwar lies cradled in the picturesque Western Ghats housing tourist places that will captivate your imagination with their natural splendor. Try Avis car rental service in Pune to travel the length and breadth of this city which is popular for its rivers, alluring cascades, and mighty peaks. The city comprises of ancient temples, boarding schools, prim, proper and lush green forests, waterfalls, valleys and hills that are breathtakingly beautiful. The city is definitely among the most sought-after weekend getaways from Pune. Arthur’s seat, Kate’s point, Monkey’s point, Needle Hole point, and Wilson point are some places you would enjoy exploring. Panchgani is a majestic hill station well-known for its natural beauty that attracts tourists from different parts of the world. It used to serve as a summer retreat for British officials. It is gifted with beautiful colonial period cottages, forests, calm and cool ambiance, refreshing air, woody forests and much more. The views of this hill station are so captivating that it's best to hire a luxury car rental in Pune from Avis to travel like a royalty amongst the picturesque hills. This memory would last for a lifetime. 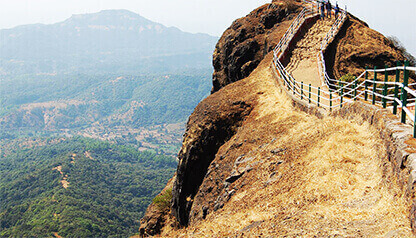 The cliffs of Matheran, with their incredibly steep drops to the plains below, offer stunning viewing points. These panoramic vistas, by day and night, leave you feeling light headed. Standing at Hart Point in pitch darkness, you get a breath-taking glimpse of the lights of busy Bombay. Shirdi is an immensely holy place and pilgrimage site for Sai Baba devotees located in the Ahmednagar district of Maharashtra. The pilgrims come to visit this place as it provides calmness and solace due to the divinity's presence. The activities carried out here are with pure faith that provide peace to the soul. The air is filled with soothing sounds of prayers and smells of incense sticks air and palpapable spirituality. There are many religious places to be seen in Shirdi such as Dwarkamai masjid, Shani Shignapur, Samadhi Mandir, Chavadi to name a few. 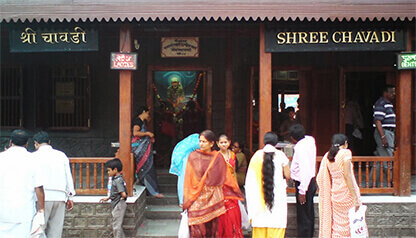 For a carefree tour of Shirdi, get a Pune to Shirdi car rental from Avis.